A signature social program of Adopt-a-Bubbe is the warm home day centers, which are held in the apartments of participants. Adopt-a-Bubbe currently operates two warm homes in Dnipropetrovsk (one on each side of the Dnipr River) and 10 others in its broader service region. Ten to 12 seniors attend each warm home every month, with some people rotating in or out each session so that more individuals are able to participate. With financial assistance from AAB, the hostess and other participants purchase food for a full hot meal; both the hostess and some guests prepare the dishes so that the hostess is not overwhelmed and more people feel valued. Sometimes a few individuals may bring wine or other treats on their own. In addition to consuming a hot, nutritious meal, participants celebrate birthdays and holidays, sing, dance, participate in discussions on Judaism and Jewish history, and take part in other activities. The opportunities for socializing and for intellectual exercise are just as important as the hot meal, said Mr. Sidelkovsky. Mr. Sidelkovsky acknowledged that the Joint Distribution Committee had initiated the warm home program and then abandoned it as a consequence of budgetary pres-sures, re-started it with only limited food service, then abandoned it again. In response to a question about current economic conditions, Mr. Sidelkovsky said that retirees are receiving pensions on time. The median pension (in March) was 1,000 hryvnia, which used to be the equivalent of about $130; however, continued Mr. Sidelkovsky, inflation has reduced its value to $100. On April 1, the cost of utilities is scheduled to increase 50 percent and the cost of medicines will increase 50 to 100 percent. General political and economic instability has led banks to cease lending money, Mr. Sidelkovsky stated, thus reducing investment and general economic growth. The hesed, said Mr. Sidelkovsky, is now providing financial assistance through debit cards to its clients once every three months, rather than the monthly subsidies provided earlier. Further, whereas the hesed previously provided about 100 hryvnia (about $10 in March) monthly, it is now providing 160 hryvnia once every three months, a major decline in aid to clients just as they are being affected by serious inflation. Thus, continued Mr. Sidelkovsky, the twice-annual (at Rosh Hashanah and at Purim/Pesach) synagogue distribution of food parcels to Jewish elderly has assumed greater importance. Holocaust survivors, Mr. Sidelkovsky noted, are receiving about 300 hryvnia monthly through the Conference on Jewish Material Claims against Germany. 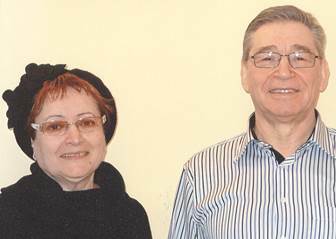 Mr. and Mrs. Sidelkovsky noted that young and old alike are experiencing great tension about the current political situation with Russia. Uncertainty takes a terrible toll on one's psychological health, he said. 22. The Beit Baruch Assisted Living Facility for elderly Jews opened in 2002, the first of only two dedicated residences for Jewish seniors in all of the post-Soviet states. Beit Baruch provides accommodations in single or double rooms with private bathrooms, meals, medical care, and social activities. The building is located in a relatively quiet outlying area on the site of a former preschool. The preschool was razed to the ground and then replaced by a clean, modern residential facility. Although the official capacity of Beit Baruch is 94, American geriatric specialists recommend that the total number of residents not exceed 75 to 80. The current census is only 47 individuals, said director Mila Ruvinskaya, the low number reflecting both Chabad community concerns about financial support of additional patients and the need of an increasing number of residents with dementia for single rooms. Ms. Ruvinskaya stated that the patient roster included 24 men and 23 women; 17 people were bedridden, some in very serious condition. 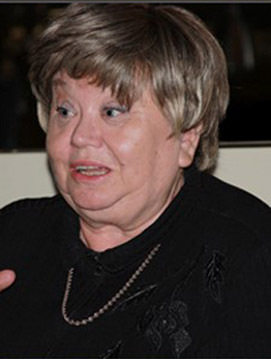 Sixteen individuals died in 2013, Ms. Ruvinskaya continued, and two people had moved to Israel to join family members who had made aliyah previously. Each individual who had departed had been replaced by a newcomer. All but one of the residents were from the Dnipropetrovsk area, Ms. Ruvinskaya said; the non-local person was from nearby Zaporizhzhya. In addition to the per-manent residents, Beit Baruch also hosts temporary patients receiving therapy after hip replacement surgery. 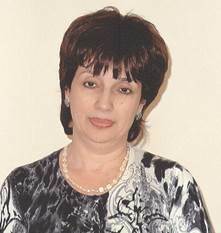 Mila Runvinskaya, who previously worked in a manage-ment capacity at the local hesed, is respected for her management skills and commitment to patients at Beit Baruch. The oldest patient at Beit Baruch is 99, said Ms. Ruvinskaya. The youngest, age 61, is a double amputee and widower. The man's son refuses to care for him. His mother, now 85, was a patient at Beit Baruch while recovering from hip surgery, but is unable to provide the home-based assistance that he needs. Beit Baruch derives significant benefit from the Jewish Medical Center (see below), which remains located within the Beit Baruch building, stated Ms. Ruvinskaya. However, its impending move to the Menorah Center will cause problems for Beit Baruch patients. Many of them are too frail to travel into the center of the city for medical appointments, and many physicians are reluctant to travel to the outskirts of town to see Beit Baruch patients. Although the American Jewish Joint Distribution Committee has appointed a new director for the region, the cooperative arrangements initiated by the previous director, Esther Katz, continue. JDC provides financial assistance to Beit Baruch for the hip replacement and rehabilitation program, Ms. Ruvinskaya stated. JDC also gives some medicines to Beit Baruch, she noted. 23. The Jewish Medical Center opened in February 2012 in ground floor premises at the Beit Baruch Assisted Living Facility. Although housed in its own wing of Beit Baruch, it is accessible from inside the residence without going outdoors. It also has its own separate outside entrance so that non-resident clients and staff may enter and leave without disturbing Beit Baruch. JMC fulfills a longtime goal of the Dnipropetrovsk Chabad community to provide high-quality medical services to the Jewish population at low cost. The clinic also is open to non-Jews and does not discriminate in the provision of care. Small fees are paid for all services. The writer spoke with Dr. Elena Strakh, who had been director of the JMC for about six months at the time of the writer's visit. Dr. Strakh explained that the medical center is open five days each week, Sunday through Thursday. Its professional staff includes three fulltime adult-care physicians, including Dr. Strakh, and a number of consulting physicians in various specialties who are onsite one or two days each week. The major group of specialists consists of 15 doctors with significant experience in one or another aspect of geriatric medicine. 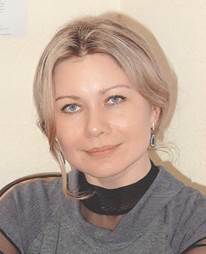 Dr. Elena Strakh manages the increasingly complex operations of the Jewish Medical Center in Dnipropetrovsk. In addition to caring for patients at Beit Baruch, JMC is under contract to the Joint Distribution Committee to provide medical services to Hesed Menachem clients. Therefore, its client load is very large. The very successful hip replacement program operates under JMC supervision. Since November, Dr. Strakh continued, JMC has employed three pediatricians who, for now, are focusing on youngsters enrolled in the Jewish day school and preschool, many of whom have chronic health problems. JMC provides pediatric care in general medicine, orthopedics, neurology, and ophthalmology. In response to a question, Dr. Strakh said that the average daily patient census was ten to 15 outpatients, in addition to Beit Baruch residents. However, she stated, the census increases to as many as 25 people on days when certain specialists, such as orthopedists, are onsite. Chabad provides transportation for patients between more central points in the city and the clinic. Dr. Strakh observed that most clinic patients are very poor and are accustomed to being treated rudely by local service providers, including both professionals and bureaucrats at medical clinics and hospitals. They are surprised at the cleanliness of JMC and by the courteous manner in which they are treated. The great distance of the clinic from the center of the city has been the central factor in the decision to move the clinic from its current location at Beit Baruch into premises that are being designed for it at the Menorah Center. The clinic will occupy a large space on the ground floor and a smaller area in the basement. The ground floor area will include four to five consulting/treatment rooms for adults and a pediatric section with three to four consulting/treatment rooms for children, along with a play room. Laboratories, x-ray and other diagnostic apparatus, and a physical therapy center will be in the basement; elevators will take patients, their families, and professionals between the two areas. In a separate discussion with Zelig Brez, executive director of the Dnipropetrovsk Chabad community, Mr. Brez said that the JMC has earned a reputation of trust and respect throughout the city. However, its growth is dependent upon a more centralized location that is easily accessible to more Jewish people, particularly to the more vulnerable segments of the Jewish population. (Clearly, the new location of the medical center in the same building as the hesed will ease access for Jewish elderly.) A "meticulous" team of Boston specialists and volunteers has played a major role in designing the new Menorah medical space and securing furnishings and equipment for it, stated Mr. Brez. Local architects and designers lack understanding of basic sanitation requirements, the need for ramps (in place of stairs), and other issues, Mr. Brez declared; they have all learned a great deal in working with Americans according to American standards, he said. The Boston plan also envisions using the new Jewish Medical Center as a base for training a new generation of competent physicians who will serve the entire population. The best young local physicians with five to ten years experience will be trained by recently retired Boston doctors, both personally and through telecon-ferencing, in a rigorous continuing education program that addresses medicine in a technical sense as well as in terms of medical ethics, said Mr. Brez. 24. Ahavat Israel was established in 2011 with a mission of bringing Jewish life to Jewish deaf and non-speaking individuals in Dnipropetrovsk. Having been approached by several individuals in this population group, Rabbi Shmuel Kaminezki authorized establishment of such organization and asked Rimma Margolina, manager of the women's mikveh, to supervise it on a volunteer basis. Ms. Margolina stated that all severely hearing-impaired Jews in the city know each other because they attend one of two special public schools designated for individuals with this disability. She noted that the schools teach hearing-impaired individuals to use sign language and train males for factory jobs and women for work as seamstresses. About 40 hearing-impaired Jews have expressed interest in Jewish social gatherings, she said. Initially, Ms. Margolina stated, the group met fairly regularly to celebrate Jewish holidays and just to socialize in several different locales. However, decreasing allocations from the Chabad Philanthropic Fund have forced serious cutbacks in programming. They cannot afford to pay a local sign-language interpreter, who will provide only a limited amount of free service. She is a young mother of three children who does not have time to work without compensation. Further, clients would like to schedule some events in places outside the Menorah Center, but Ahavat Israel lacks funds to rent different venues. Most participants, Ms. Margolina noted, work in low-paying jobs and cannot afford to pay substantive program fees. Transportation also is difficult for many of them. Rimma Margolina, the "mikvah lady" in Dnipropetrovsk, also manages the Ahavat Israel group for hearing-impaired Jews. She expressed great frustration at being asked to direct the program without financial resources. A lack of funding, said Ms. Margolina, has reduced Ahavat Israel to two events, social gatherings at Purim and Chanukah, each year. Attendance has fallen from 30 people to 20 individuals. A few people with discretionary cash, Ms. Margolina said, travel to Kyiv to join with a similar group in the Brodsky synagogue there that has more activity and a sign language interpreter, but this option is not available to everyone. Mr. Sidelkovsky often leads these discussions. He has become educated in Jewish tradition and history through online courses and individual tutoring. Mr. Sidelkovsky also is the local coordinator for Dnipropetrovsk programs sponsored by Combined Jewish Philanthropies of Greater Boston. See pages 62-63. The other is in Kyiv. See pages 110-112. A portion of the facility had been closed off from the main section, thus saving heat and other costs. Later, it was reopened to accommodate Jews displaced from areas of Ukraine by Russian separatists. See pages 59-61 for a report of an interview with the current JDC regional director, Yoni Leifer. See pages 49-51 for the remainder of the interview with Mr. Brez.